In 2005 Welsh soccer star Andy Legg's life was turned upside down. Forced to retire after finding out that a lump in his neck was cancer, it seemed that his 15-year career, which included playing for Cardiff and Swansea City, was over. But an operation to remove the tumour was successful and the 42-year-old Neath-born star is now back on the field. "Alive and Kicking" is his emotional account of his fears for his career and his life, and his gratitude for the support of his fans which give him the strength to fight on. 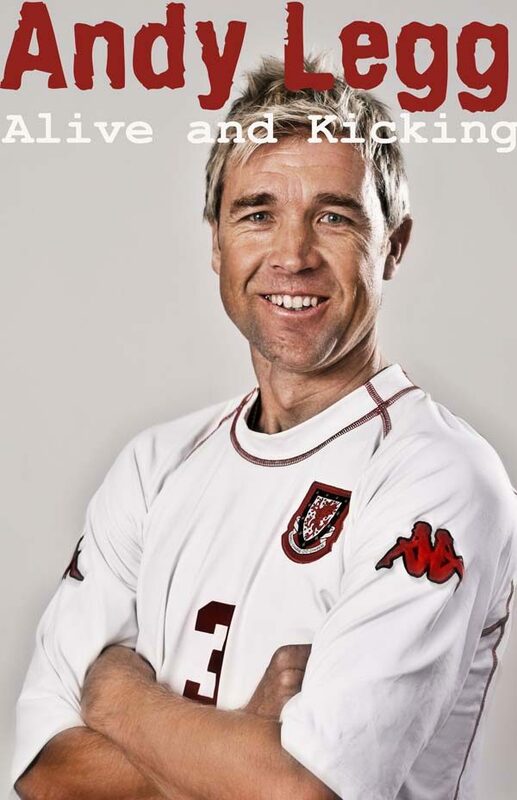 About the Author Andy Legg is a Welsh international footballer and one of a select band to play for South Wales arch rivals Swansea City and Cardiff City.Signed by Swansea City in 1988, he turned professional at the age of 22. An aggressive left sided player, Andy made more than 160 League appearances for the Swans, before moving on to Notts County, Birmingham City, Ipswich and Reading. He joined Cardiff City in 1998. His League career totalled more than 600 appearances; he played six times for Wales and made the Guinness Book of Records for his long throw-in. He's coached at Peterborough, managed Hucknall Town and continues to play for Welsh Premier League side Llanelli.